Americans Fascination of ancient dead Egyptians !! | Notes From America ! He wasn’t interested in getting political, he talked about the joint discoveries between the French and the Egyptians. “The reason Egyptian civilization survived thousands of years, was the permeance of ancient Egyptian writing” he explained. 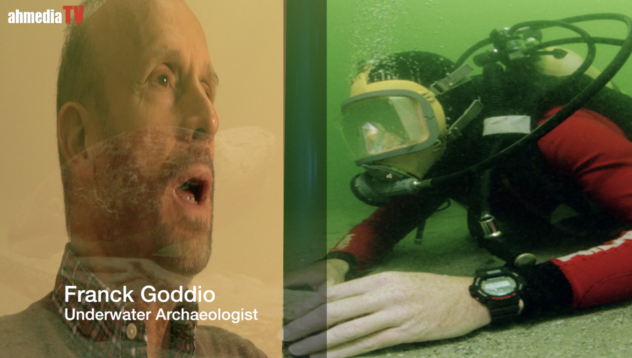 It was the work of science, dedications, and appreciation of history that led him to the major discovery. The west has been always fascinated by old Egyptian history and lives, not so much about Egypt present or future.. Corruption and theft dominated the antiquity industry in Egypt. For three decades, Dr. Zahi Hawass the darling of the west was running antiquity department and ministry as his private planation, where embezzling resourcing and smugglings was rampant. Using Egyptian antiquity to enrich himself and his cronies. Here is how the Guardian describes him. “In the 2000s, the flamboyant Hawass became known as Egypt’s Indiana Jones, starring in several Egyptology documentaries, as well as his own reality series. In 2006, Time magazine named him one of the 100 most influential people in the world, and he later put his name to a line of khaki trousers. why Egyptians aren’t as excited about their lands, history and civilization. Corruptions and abuses of power. Visiting the Egyptians Museum in Cairo, you find precious statues and ancients’ artifacts are piling up like in a Homedepot warehouse. History.com reported that “While adjusting the lighting in the case holding the relic last August, workers handled the mask incorrectly and accidentally knocked the long braided beard, commonly worn by pharaohs and gods, off the chin of one of ancient Egypt’s most recognizable artifacts. 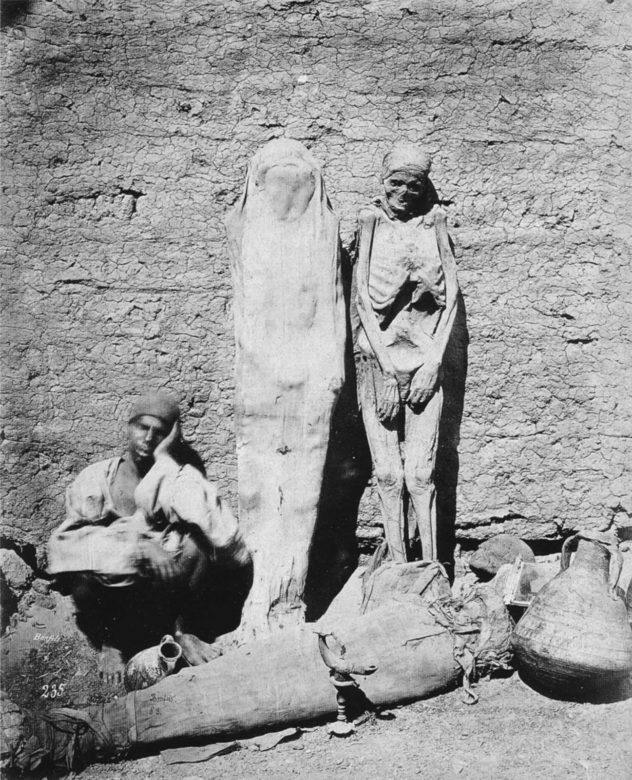 Some Egyptians used to sell actual Egyptian mummies on the street like dried fish. Right after the Egyptian revolution, Dr. Hawass was sent to one year in prison, (bending appeal now), and is accused of using his close association with the Mubarak family to accumulate wealth and fame, according to most Egyptians he is an opportunistic at best and the dictator of Egyptian antiquities at worst, as FP magazine reported “ …In a separate scandal, several Egyptian publications are claiming that Hawass used priceless artifacts in the Egyptian museum’s collection for a photo shoot to promote his fashion line. …”. I went to meet Dr. Hawass in 2011 right after the revolution, at MN Science Museum King Tut exhibit, I asked him about the accusations and his financial relationship with Suzan Mubarak Dr. Hawass and Miss Mubarak wear allegedly accused of looting Egyptian treasure and wealth, Miss Mubarak herself had to give back $25m that was donated to the Alexandra library by the international community that she pocketed into her personal account to be let go out of jail, Dr. Hawass vehemently denied the accusations and blamed it on his opponents, haters, and those who don’t care as much he is about Egypt. “ those all lies spewed by this Coptic (Christian) guy who hates me’ he fumed. Now as dictators do to protect their turf, turn the corruption problem to a sectarian one. Last Sunday I went to speak in a storytelling event, “Keys to Homes in Our Hearts”, organized by master storyteller Maren Hinderlie, the event was held at Hennepin History Museum, next to Minneapolis Institute of Art, where thousands of people with their buses and cars were heading to the Egypt’s Sunken Cities exhibit, to see and hear the story of ancient Egyptians. Those who attended Hennepin History Museum event, probably were one of few lucky Americans to hear a living Egyptian speaks in a Museum for the first time. 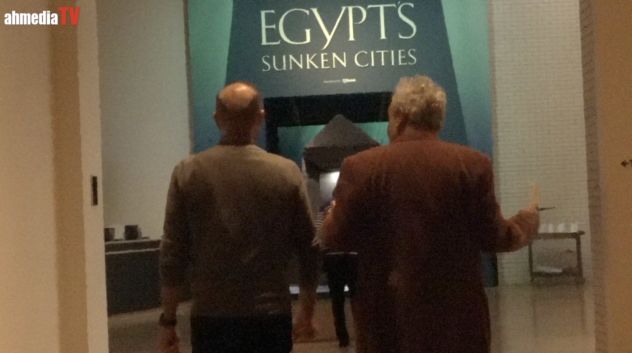 One just wondered if Americans are as interested in live Egyptians as much as in dead Egyptians .. just … one last note; in my visit to Egypt’s Sunken Cities exhibit, make sure to visit queen ISIS on display with missing head… ISIS beheaded thousands of years ago.